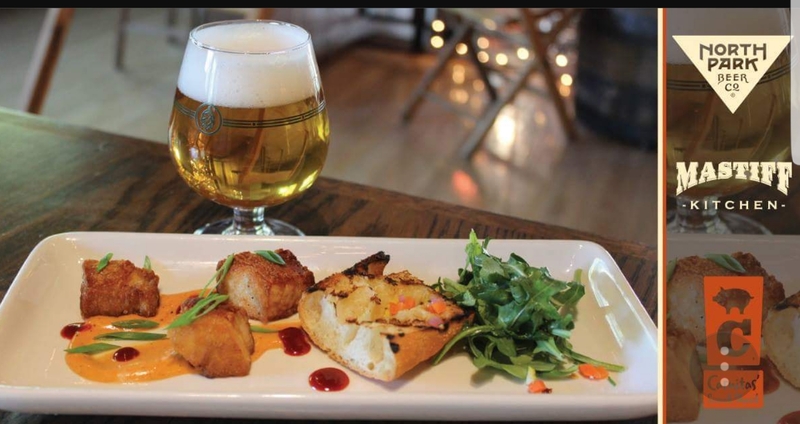 Join North Park Beer Co. & Mastiff Sausage Company on January 30th for Beer Dinner No.4! We'll be breaking out some North Park Beer Co. rarities and guide you through an evening of delicious food and fun on the mezzanine. with atleast five specialty beers from North Park Beer Co. debuting just for this event! Courses are subject to change due to availability. Scallop / Kumquat / Fava / Mint. Citrus Salad with nuts & cheese. Lamb croquette / Wild mushroom confit / Shaved asparagus / Gremolata. Vanilla bean cake / Candied espresso beans.